Join us as we journey with the Lord Jesus Christ to Golgotha, and the Empty Tomb . . . 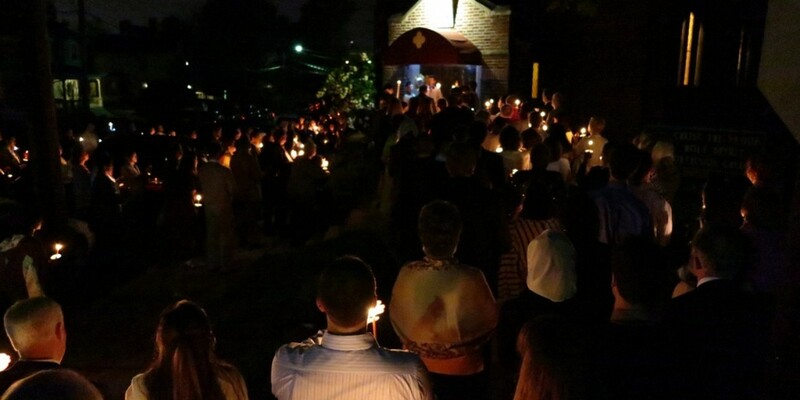 Welcome to Christ the Savior / Holy Spirit Orthodox Church ! 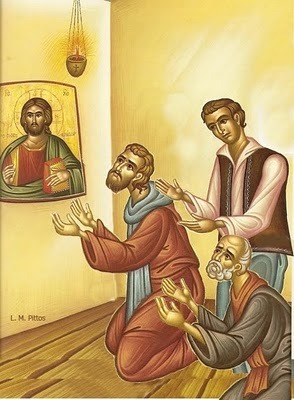 Which exists by the grace and to the glory of the Living God, so that the Glorious Gospel of His Son Jesus Christ may be proclaimed in an Orthodox manner as the Apostolic Faith which was "once for all delivered to the saints" (Jude 3). 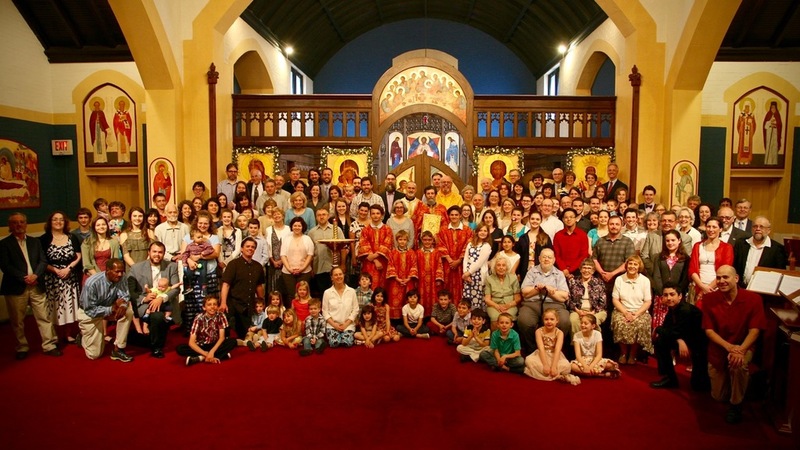 Our parish website has numerous helpful resources, which will tell you a great deal about our church family and life, as well as about the Orthodox Christian Faith. Here is a brief overview of what you can find here; just click on each section link to learn more. 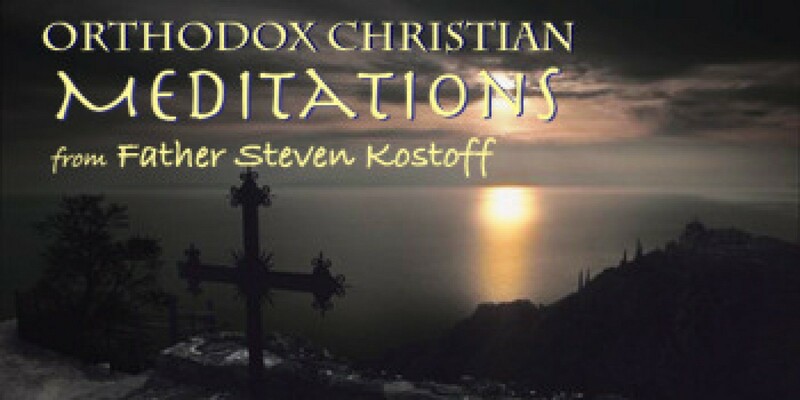 Please direct any specific questions to our pastor, Fr Steven Kostoff. Back in Print - New, Expanded Edition! Seekers, catechumens and Orthodox faithful alike will be blessed by this trustworthy and inspiring guide to the Divine Liturgy and the Life in Christ, composed by our pastor, a faithful presbyter of the Orthodox Church in America. Paperback, 64 pages, full color cover; $9.99 retail. Learn about our Parish Patronal Feast, the miraculous icon associated with it, and its amazing story through this special article. Online Prayer Requests - Use our online form to submit prayer requests, or to sign up for our prayer chain. Try it out, on our Ministries page. Learn about the Bridegroom Matins of the first days of Holy Week. Order service booklets from SVS Press. "Come and See!" 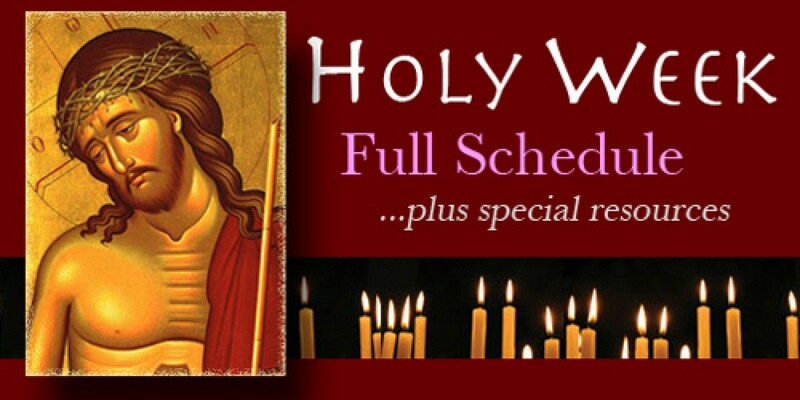 — There is no better time to encounter the Holy Orthodox Church than during the Great Week of the Lord's Saving Passion and His Crucifixion for our Salvation and the Renewal of the Cosmos! We hope you'll join us as we journey with the Lord to the Cross... the Empty Tomb... and Beyond! YOUTH GROUP RE-LAUNCHES FOR 2018! FR. 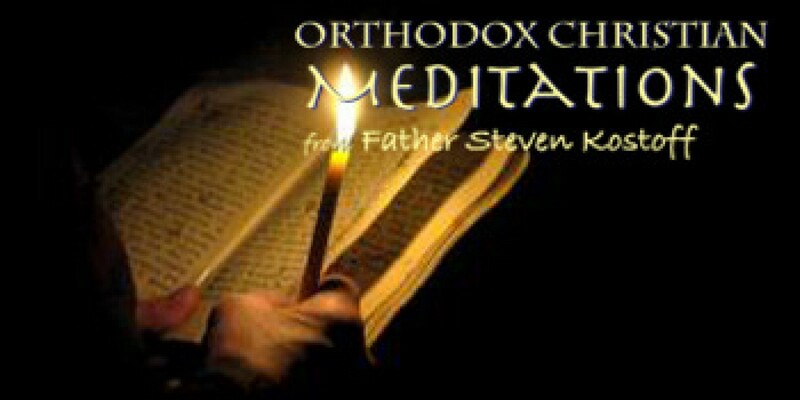 STEVEN'S GUIDE TO THE DIVINE LITURGY - Order Online! Visit our Directions page for turn-by-turn driving instructions, and Google Maps, from anywhere in Greater Cincinnati and Northern Kentucky. 4285 Ashland Ave; Cincinnati, OH 45212 U.S.A. 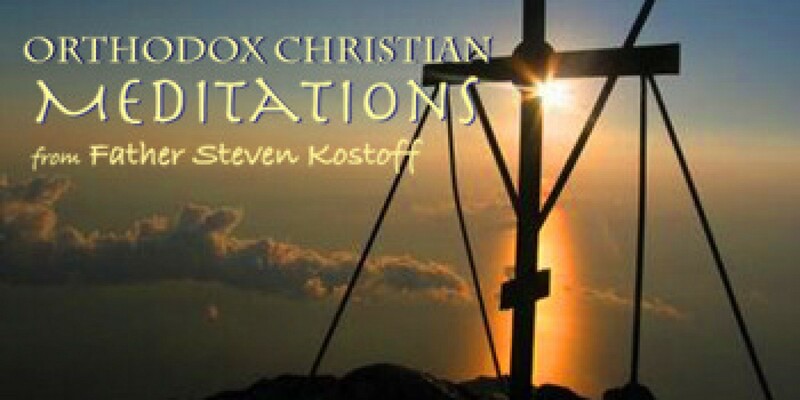 Listen to Ancient Faith Radio ! More Parish Features and Info for Newcomers . . .
CHRISTIAN EDUCATION — From our Church School program, to our Summer Bible Study, Fall Adult Classes, and Spiritual Retreats, and more, Christ the Savior-Holy Spirit offers many opportunities for deepening our faith while growing in fellowship with our brothers and sisters in Christ. Come and join us! WELCOME - LET'S GET ACQUAINTED! — Get to know us through photos of parish life and of new members to Christ the Savior-Holy Spirit. Also, photos honoring Fr Steven's 30 years at Christ the Savior-Holy Spirit. All this and much more on our Photo & Video Gallery page. PARISH MINISTRIES — Christ the Savior-Holy Spirit members serve in various capacities within the church, and our parish helps support various ministries in our local neighborhood, as well as regionally and even internationally. Our Ministries page describes this vibrant area of parish life in more detail. Select ministries have their own pages with additional information. If you're wondering where you might put your God-given talents to work, this is a good place to start! 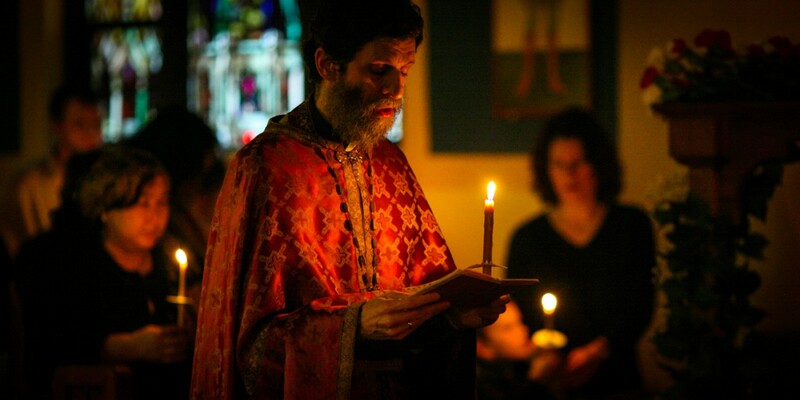 Search for an Orthodox Church to attend when you travel!